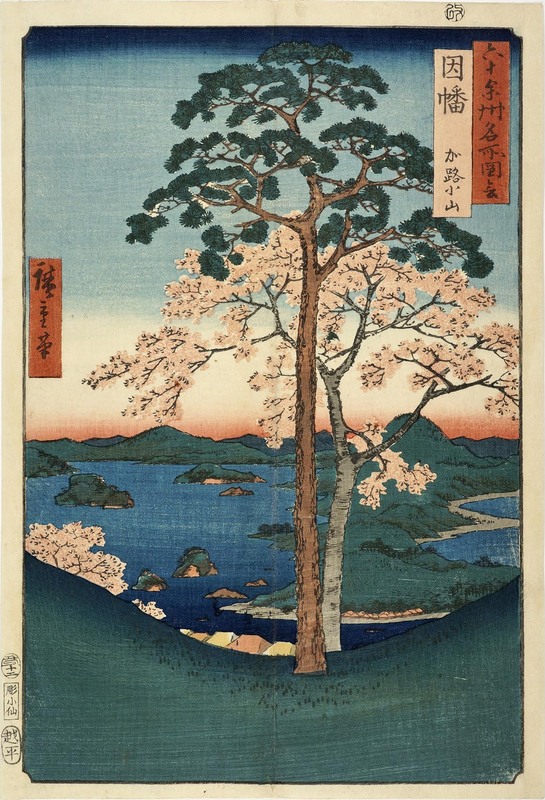 A striking composition with a pine tree in the foreground almost directly in front of a blossoming cherry tree. To the left is Lake Koyama, once part of the Sea of Japan, now completely cut off from the ocean. Along the sea coast is the Hakuto Beach, or White Rabbit Beach, site of the story of the White Rabbit of Inaba (Inaba-no-Shiro-usagi).